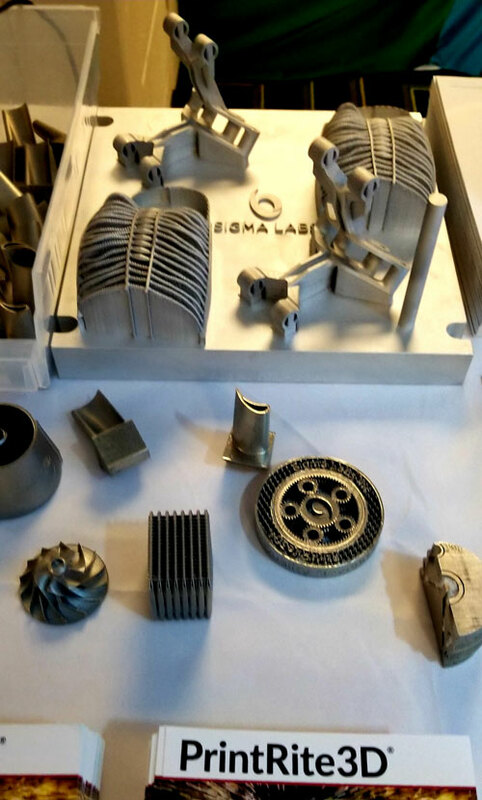 Sigma Labs, at AMUG 2019, provided 3D Metal Printing magazine with a close look at PrintRite3D, the company’s proprietary in-process quality-assurance technology for laser-bed printing, designed to lower additive manufacturing (AM) production costs through real-time monitoring, analysis, feedback and control. PrintRite3D is provided as a third-party retrofit package installed on any laser-bed printing machine with capability for machine OEMs to incorporate into their equipment. The nondestructive-analysis technology uses photodiodes to characterize laser light (in the infrared- and visible-light spectrums) and determine thermal signatures of the melt pool, according to Darren Beckett, Sigma Labs chief technology officer. The company dubs the signatures, Thermal Emission Density (TED) and Thermal Emission Planck (TEP), as In-Process Quality Metrics (IPQM), which allow users to see internal thermal signatures and melt-pool disturbances. TED represents the input process parameters and material response, explains Beckett, while TEP represents the temperature of the region of energy deposition. Both IPQMs are calculated automatically and are available during the process and immediately after build completion. With these data, users can ensure that printing occurs within set parameters. Should the data reveal out-of-parameter conditions, users will receive warnings in real time and software will identify problem areas on the part. A company white paper describes the physics behind this technology. Also, see video and Sigma Labs.